Many girls use beauty blender to do their make-up. This is a small, egg-shaped sponge. If you feel tired of using make-up brushes, then you should really try this gadget. Check what it is and how to use it correctly. Beauty blender is a small sponge shaped like a teardrop or an egg. Most of such gadgets do not have sharp edges so it’s easy to apply the cosmetic product to every part of our face. Beauty blender is a soft and flexible sponge with numerous pores which better absorb the foundation. It does not contain latex and is hypoallergenic. What is more, it can be easily washed and dries quickly. With beauty blender you will quickly forget about smears,whereas skin discolourations and wrinkles will no longer be visible. The result is unified skin and a natural complexion. blotterazzi – used to absorb excess oil; it can replace blotting papers because it adheres to the skin with its entire surface. 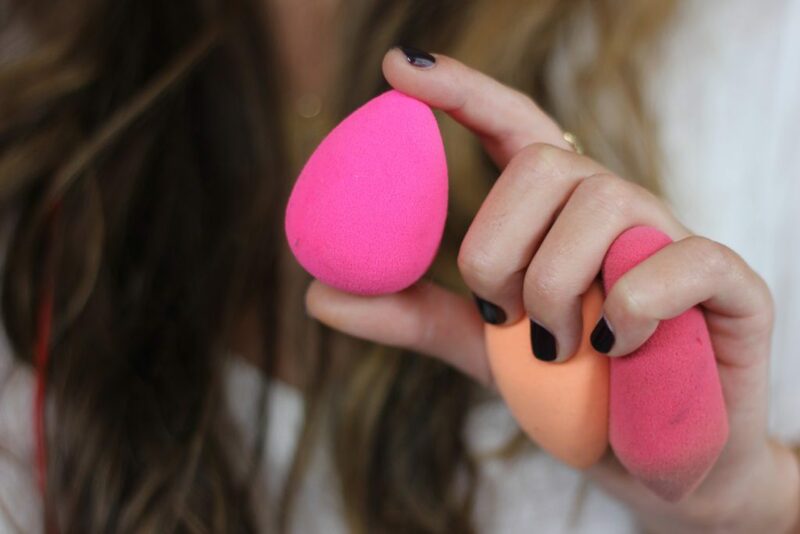 First, moisten the beauty blender, then squeeze it. Apply the cosmetic and then bounce the sponge over your face. To get a natural make-up effect, you need to ‘dab’ your face with the beauty blender. A wide part is used to apply the product to your forehead and cheeks, whereas the pointed edge to cover smaller parts of the face. Next » Hair Maniac’s Hit! Hair Care Flaxseed Gel – Recipe for a Mask & Styling Product « Previous Folliculitis – what is it and how to treat it?